Engineering toys aren’t just for preparing kids to enter a STEM field—teaching kids important engineering skills can foster critical thinking that will help them no matter what career path they choose. Engineering will sharpen anyone’s problem-solving skills, but starting early can help your child develop lifelong skills that will promote an understanding of the human-made world around them. 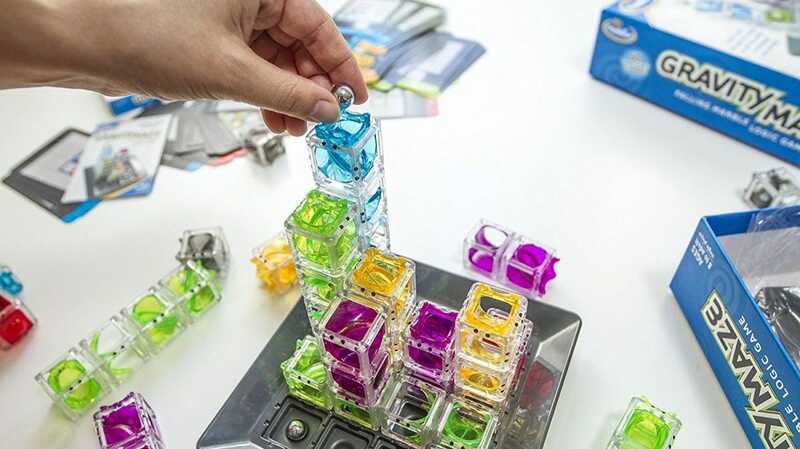 Whether they like designing bridges and cars or solving puzzles and mazes, there’s sure to be an engineering kit on this list that will spark your child’s interest in the world in critical thinking and logic. Structural engineering is all around us, with sound engineering keeping bridges standing and buildings safe. Without a solid understanding of how load, force, tension, and compression work together, it’s difficult to build sturdy structures. That’s why the Thames & Kosmos Structural Engineering: Bridges & Skyscrapers Kit is great for kids who not only like building but designing as well. 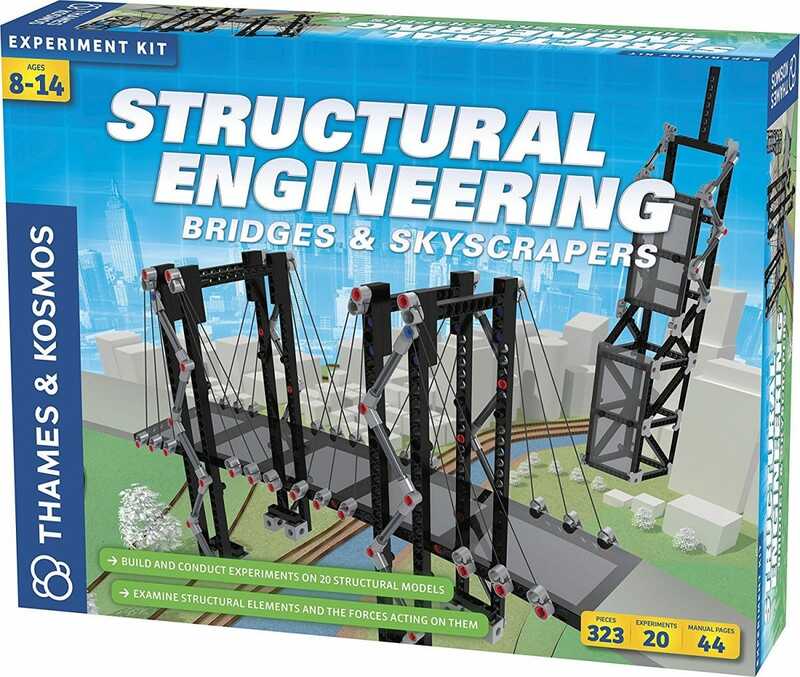 This kit comes with instructions for 20 models, all with explanations on how the physics, building materials, and geometric shapes helped to create a stable structure. Your children will gain insight into the world of structural engineering with the in-depth manual that explains concepts such as safety, cost and risk, structural elements, and physics—all important for structural engineers to know. With 323 pieces, the building possibilities are endless, especially when you can combine this kit with other Thames & Kosmos kits. But if you’re looking for a kit with more pieces and a broader range of building options, check out the K’NEX 70 Model Building Set. Are your kids interested in building cars? 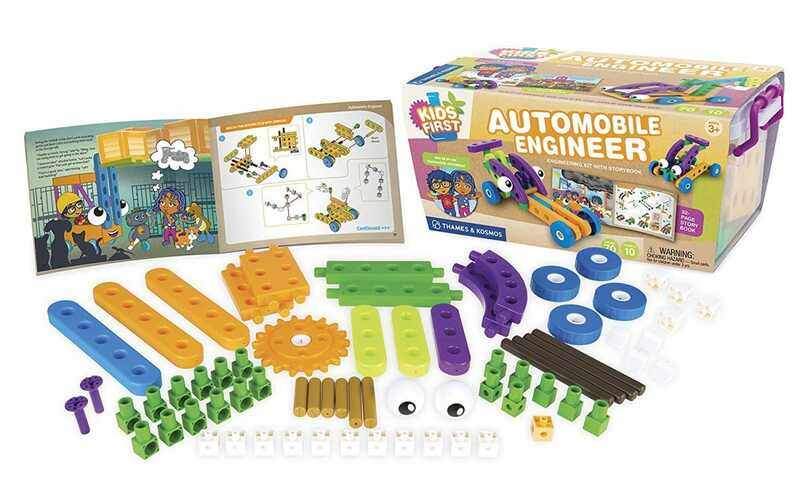 Similar to the structural engineering kit above, this automobile engineering kit by Thames & Kosmos will help your kids understand key concepts in design. This kit introduces different vehicles with a fun story, following two kids and their dad who build ten different automobiles while taking a trip to the supermarket. By incorporating a story, your children will easily follow and relate to the journey of the 2 kids building different automobiles. 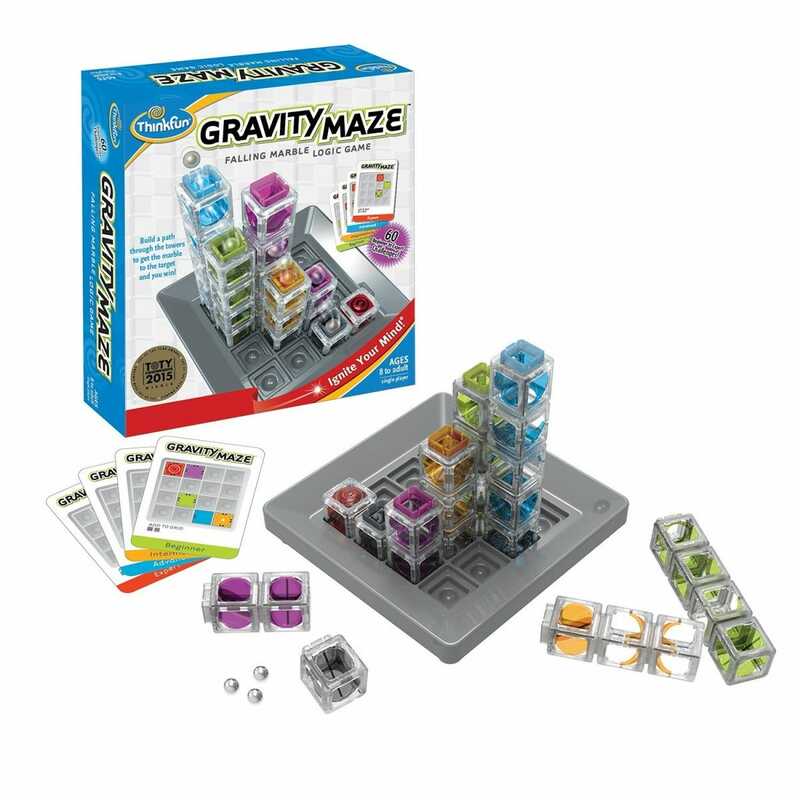 With 70 pieces (that are large and perfect for younger kids), this kit will teach your kids the importance of physics and engineering concepts that are sure to build the foundation of an engineering-minded student. If you’re looking for a similar kit for younger kids that offers a wider range of vehicles, from cars to boats to planes, check out the AMOSTING Engineering Toys STEM Construction Building Blocks Set. While the previous two kits focused on designing and building, there’s so much more to engineering! The Think Fun Gravity Maze can show your kids how much more there is to engineering than just building: there’s a whole world of critical thinking and spatial visualization. To play the game, you choose the challenge card you want to solve by setting up the grid based on what the card shows. Your card also shows extra pieces you can use to create the maze. With all of this information, your goal is to get the marble to the target tower by creating a maze with the extra pieces. If you get stuck, you can just turn the challenge card over to view the solution. This is a great way to introduce your kids (ages 8 and up to even adults) critical thinking and spatial reasoning skills that are both important to engineering. 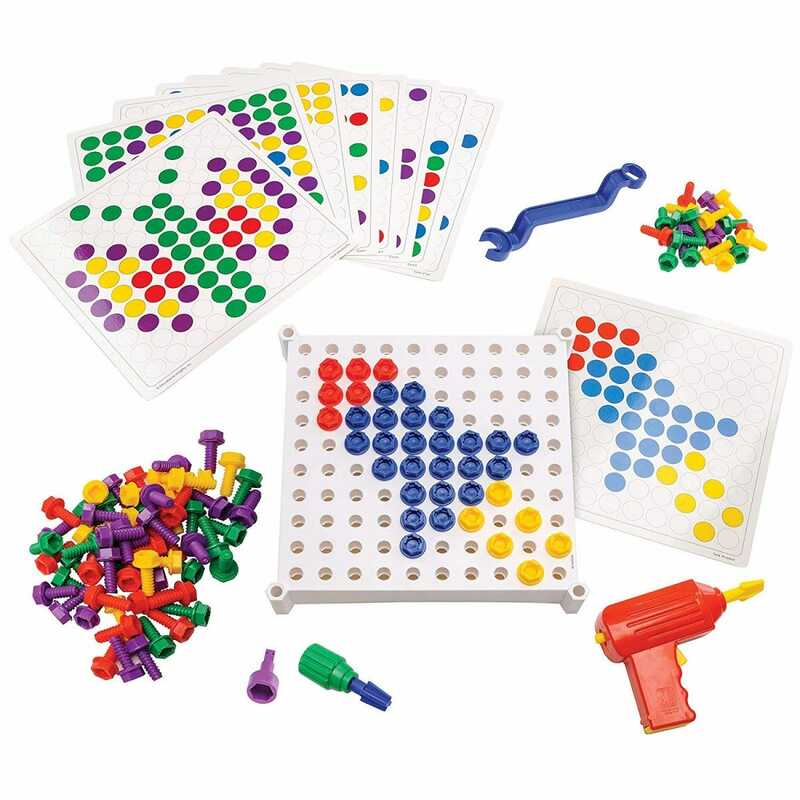 And with 60 challenges, your child will have so much fun with this game—and not even realize it’s educational! If you want your kids to start learning early, this activity center is perfect for very young children that aren’t up to the task of building their own structures or vehicles yet. It’s a fantastic way for your little tinker to work on motor skills, pattern matching, and more. Let your small child put together patterns with 120 large, colorful bolts using building tools like a plastic reversible power drill (that actually works! ), a screwdriver, and a wrench. While your kids learn how fun it is to put together something with their hands, they’ll also enjoy their creation that comes from pattern-making and matching. The kit comes with colorful activity cards so that your kids can figure out how to create the pictures and pattern (like boats, trains, and fish), or they can come up with designs all on their own. Not only does this kit enhance your kids’ fine motor and construction skills, but it will also let your them show their creativity!